This is the moment six diners “did a runner” after racking up a £225 ($A407) bill at a village restaurant. THIS is the moment six diners "did a runner" after racking up a £225 ($A407) bill at a village restaurant. 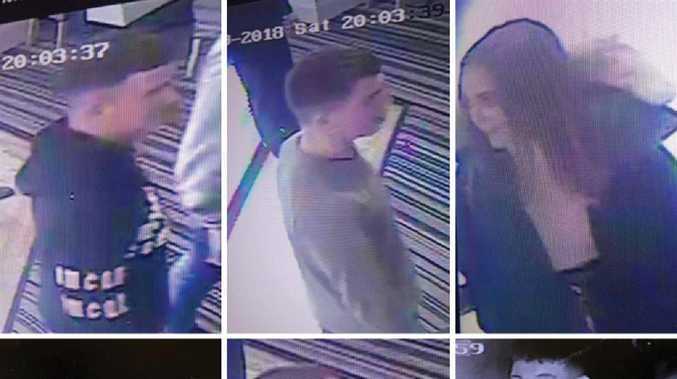 CCTV footage of the group has gone viral after they allegedly raced out of a side door after tucking into food and drinks at Pier House in Devon, England, The Sun reported. Outraged owner Rob Braddick shared a video that shows a group of young adults making an exit. The three men and three women had enjoyed food and alcoholic drinks at the beachfront bistro in Westward Ho! before running off, he said. Rob then posted the video on social media to remind them that they had "forgotten" to pay. 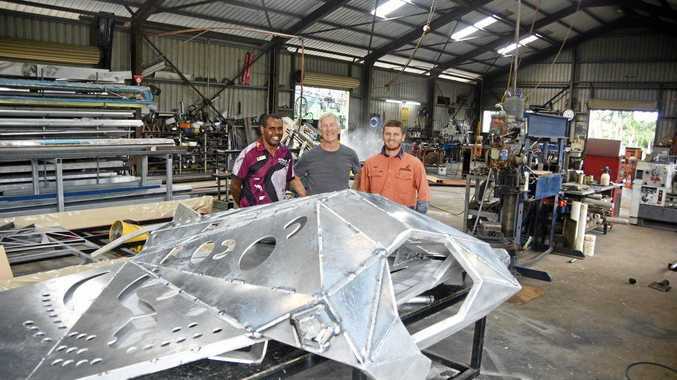 But he did not anticipate the reaction, which saw more than 4000 people sharing the post in a bid to catch the alleged thieves. "The post went absolutely nuts! ", he said. According to Rob, the diners had given the name Steele and a "doubtful" phone number before making their bold getaway. 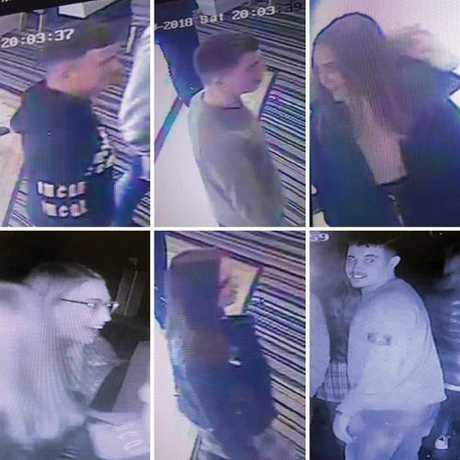 "They had all eaten and drank and obviously had a pretty good night," said the owner, who said he was sent the CCTV by his manager before sharing it on Facebook. "In the post I said they had clearly forgotten to pay their bill - and also left behind their after dinner mints. 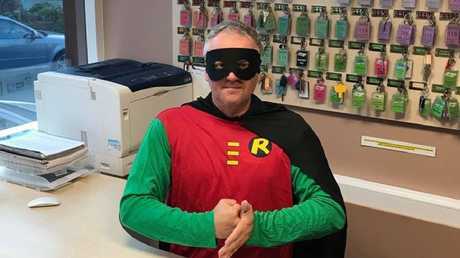 Rob even donned a superhero costume in his crime-fighting appeal with the caption "holy dine and dash batman!" Rob even donned a superhero costume in his crime-fighting appeal. Before long tips were coming in, one person claimed to have seen the group all together at a petrol station in nearby Barnstaple. Rob says it is the first time in seven years that he has had had to deal with such a situation. He added: "To be honest, it's not about the money. It's about the principle of the matter. "As well as upsetting the staff there, people need to realise that they cannot get away with this sort of behaviour." Devon and Cornwall Police are now appealing for witnesses to come forward with information.